Clinical trials have grown both more numerous and more complex. Clinical trial materials, many of which are time and temperature sensitive, must be delivered to all parts of the world, including remote locations. To properly facilitate this, Supply Chain Logistics Providers must not only be experienced with all relevant customs regulations and the specialized requirements for shipping these sensitive materials, they must be adept at risk management and contingency planning to ensure that clinical trial materials are safeguarded throughout the delivery process. Clinical trials have not been immune to the dramatic changes occurring in the (bio)pharmaceutical industry. The evolution towards evidence and value-based medicine, coming after a focus on blockbusters, orphan drugs and next-generation personalized treatments, such as cell and gene therapies, has had a direct impact on the number — and nature — of clinical trials conducted today. Cell and gene therapies, such as CAR-T autologous, or patient-specific cell therapies, are particularly challenging, though not all therapies are autologous. Allogeneic treatments are also crucial to the supply chain. All biologic samples and advanced therapies require special handling under very stringent temperature requirements. They are also typically time sensitive and must be delivered within clearly agreed time frames, despite traveling through many countries with different regulations. They also require the appropriate design of the clinical supply chain to establish an effective chain of identity. The clear layout of each transportation lane with clearly identified contingency solutions must be implemented to ensure that the advanced therapy medicinal product (ATMP) produced is returned to the patient.4 It should be noted that ATMP is not a part of direct-to-patient (DTP) delivery, as ATMPs are always administered in the hospital or at a physician’s office. 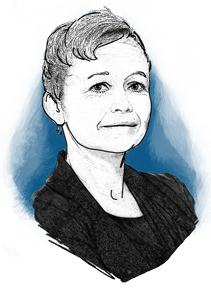 The shift to patient-centric trials is perhaps one of the most significant developments impacting the nature of clinical trials. With access to a plethora of information at their fingertips, patients are more highly educated about their diseases than ever before.5 They better understand the risks of trials and want, even expect, to actively participate in the determination of their treatment regimes and the clinical trials process.6 The increasing demand for DTP delivery is a key consequence of this. With DTP trials, patients can receive treatment and have blood samples drawn and prepared for shipment at their homes, requiring the delivery of drugs and the pickup of laboratory samples. There are many benefits to DTP trials, including improved patient retention and increased compliance with protocols.6 This approach is particularly valuable for trials involving orphan drugs, indications for patients that are dependent on a legal representative or family members (certain CNS and oncology indications), pediatric trials and trials involving next-generation personalized medicines. While it is challenging to map the supply chain and established delivery times for multiple materials from multiple patients in many different locations, doing so is essential to the success of the clinical trial. To meet these complex and continually evolving delivery needs, drug manufacturers are partnering with logistics providers that have the necessary knowledge, experience and supporting technologies to ensure risk minimization and secure delivery. Supply Chain Logistic Providers must have extremely flexible global networks, highly trained personnel, complementary technology and extensive regulatory expertise to offer efficient, compliant and cost-effective services. Flexible worldwide networks and highly trained personnel ensure the seamless flow of shipments and information, as well as the reduction of waste and inefficiencies in the supply chain. State-of-the-art information, inventory, temperature control and other technological systems allow for patient-focused delivery of clinical trial materials to any location in the world, on time and within specifications. As the clinical subsidiary of United Parcel Service (UPS), Marken offers truly personalized clinical trial logistics services, including highly secure standard, specialty and hybrid services. Marken has been successful for more than 35 years by focusing on the evolving nature of the pharmaceutical industry, developing and implementing innovative solutions that anticipate the changing needs of our clients. Our systems are designed specifically to reduce the risks associated with clinical materials supply and biological sample shipments, facilitate regulatory compliance, increase supply chain efficiency and productivity, and reduce costs. Our ability to innovate for the clinical trial industry results from the fact that we only serve pharmaceutical and life sciences clients, working strategically with our clients and all other external partners to identify unmet needs before they occur. Marken’s specialty logistics services include biological sample shipments. With a state-of-the-art GMP-compliant depot network and logistic hubs for clinical trial material storage and distribution in 46 locations worldwide, we manage 50,000 drug and biological shipments every month — at all temperature ranges — in more than 150 countries. Biologic samples and drug products both are bio-hazardous materials requiring special handling under cryogenic conditions. In May 2017, we introduced our new hybrid logistics service that leverages our position as the clinical subsidiary of UPS and the first company to offer both specialty and integrator services to ensure seamless integration, superior visibility and dedicated customer care. This hybrid service utilizes the global transportation network, including its expansive airline, to reduce the reliance on commercial aircraft for improved quality and value. Marken’s hybrid offering extends to its reverse logistics service for the efficient return of reusable packaging and tracking devices. Marken continues to specialize in high-touch, personalized supply chain solutions for clinical trial materials and sensitive drug shipments worldwide, now with maximized efficiency and an enhanced service offering. A leading patient-centric supply chain logistics organization with a complete focus on the pharmaceutical and life sciences industries, Marken operates a global network of clinical supply chain services to meet the increasingly complex demands of its clients, with no geographic boundaries. 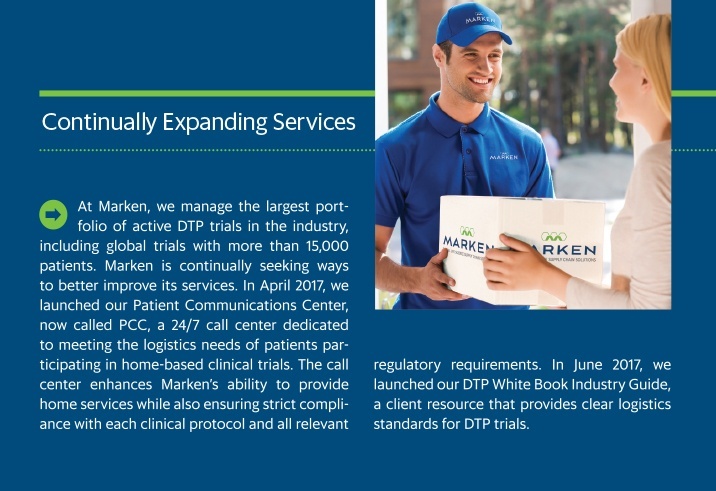 With the backing of a leading global transportation provider, Marken is positioned to safeguard clinical trial materials throughout the entire delivery process, even when the unexpected occurs, offering end-to-end visibility, planning, packaging, time- and temp-sensitive material storage, distribution, tracking and additional value-added services when needed. “Trends, Charts, And Maps.” U.S. National Institutes of Health. 3 Aug. 2017. Web. Aylin Sertkaya, Anna Birkenbach, Ayesha Berlind, John Eyraud. “Examination of Clinical Trial Costs And Barriers For Drug Development.” U.S. Department of Health and Human Services. 25 Jul. 2014. Web. Wes Wheeler. “Clinical Logistics–Meeting The 21st Century Cures Challenge.” Pharma’s Almanac. 1 Feb. 2016. Web. Anna R. Welch. 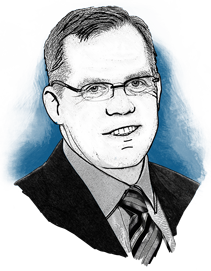 “How To Develop Patient-Centric Clinical Trials In The Internet Age.” Clinical Leader. 12 Jan. 2015. Web. Neha S. Sharma. “Patient Centric Approach For Clinical Trials: Current Trend And New Opportunities.” Perspectives in Clinical Research 6.3 (2015): 134–138. Web. Ariette van Strien, Daniel Bell. “Dissolving Boundaries In Worldwide Clinical Trial Logistics For Biological Samples And New Therapies.” Pharma’s Almanac. 8 Mar. 2017. Web.